A local area home owner, Tyler Lee, decided to find out where air leak deficiencies were in his new home before he moved in, with the help of InfraredSurvey.com, a great service run by John Cannamela. With the help of thermal images, homeowners can find out where the weak areas of their home are, and take measures to fix them so their house can run more efficiently. More efficiency, of course, means lower energy costs in the long run. Cannamela says, while every house is different there are some general things all of us can do to improve our home’s efficiency. He points to sockets as a place to start. Cannamela says without gaskets in your socket your home could be losing some of its heating. Since most homes have dozens of sockets that’s could be a significant problem. Of course, there are many ways to make our homes more efficient such as having your system tuned up before winter and adding additional insulation where needed. 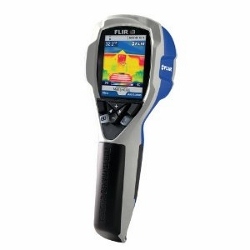 But the addition of infrared surveys can be a very helpful tool in finding those hard to miss spots where air escapes our home, adding to more money leaving our pockets in high energy bills.